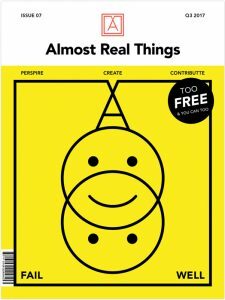 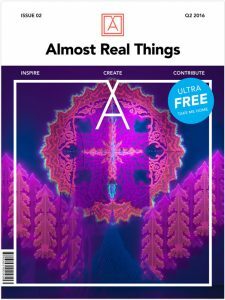 Almost Real Things Magazine Issue 13: "Identity"
Who are you and why?! 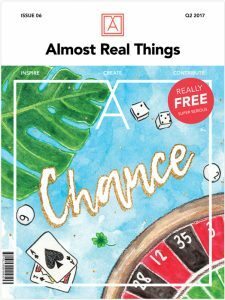 Explore the complex subject of identity in Almost Real Things Issue 13—an artzine packed with activities, food, fashion, music, creative community interviews, and artist spotlights. 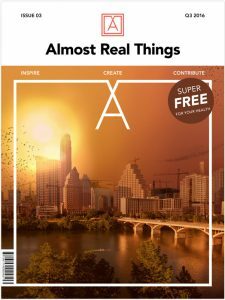 This issue features work and interviews from 32 fantastic creatives in and around Austin.